Victory Liner, Inc. (VLI), one of the country’s largest provincial bus operators, fortified its long-established partnership with Hyundai Philippines through its recent acquisition of 20 Hyundai Universe space luxury buses. 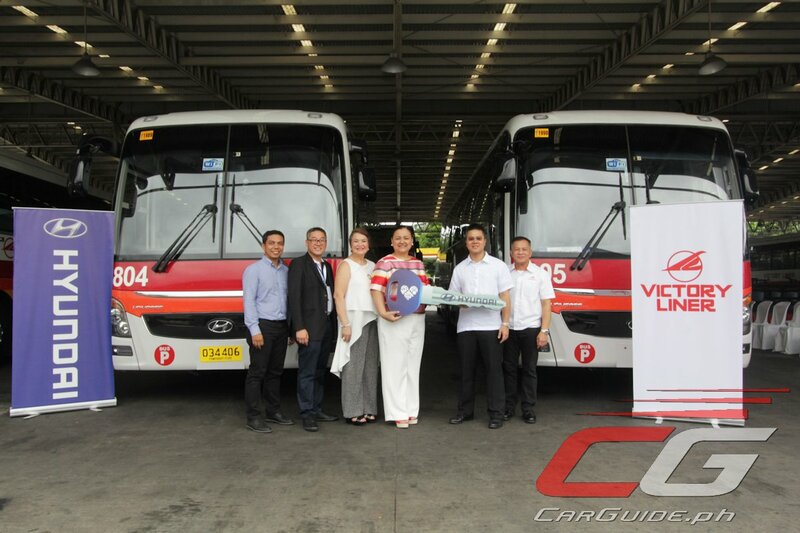 Representatives from Hyundai Asia Resources, Inc. (HARI) and Hyundai Trucks and Buses (HTB) Commonwealth led the ceremonial turnover of Hyundai buses to top honchos of VLI. This milestone signifies Hyundai’s commitment to provide a stronger motoring experience for VLI and its customers through reliable high-performance commercial vehicles (CV), as well as efficient after-sales service. Hyundai Trucks and Buses offers customized fleet packages with flexible discounts and reliable after-sales support, including operator and equipment use trainings, parts supply, and long-term warranty period. For more information, call Hyundai CARES: 63 2 977 4977.